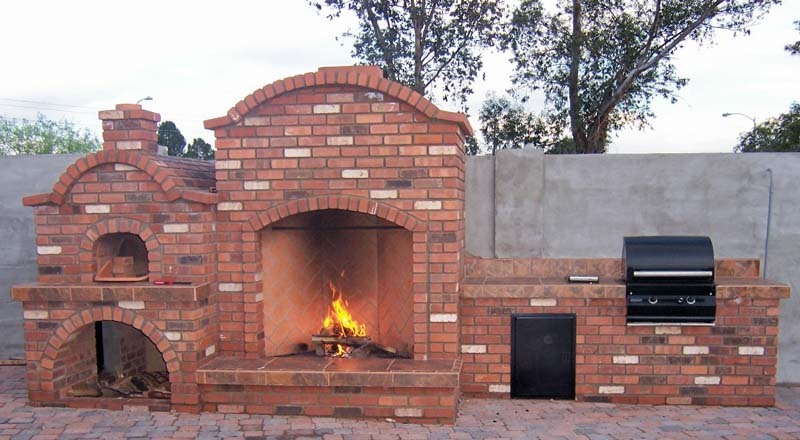 This is our Modified Cooking Rumford with BBQ and Brick Oven designed by me. It was built by my masons from footing to brick to tile to pavers. I thought you might enjoy seeing it.